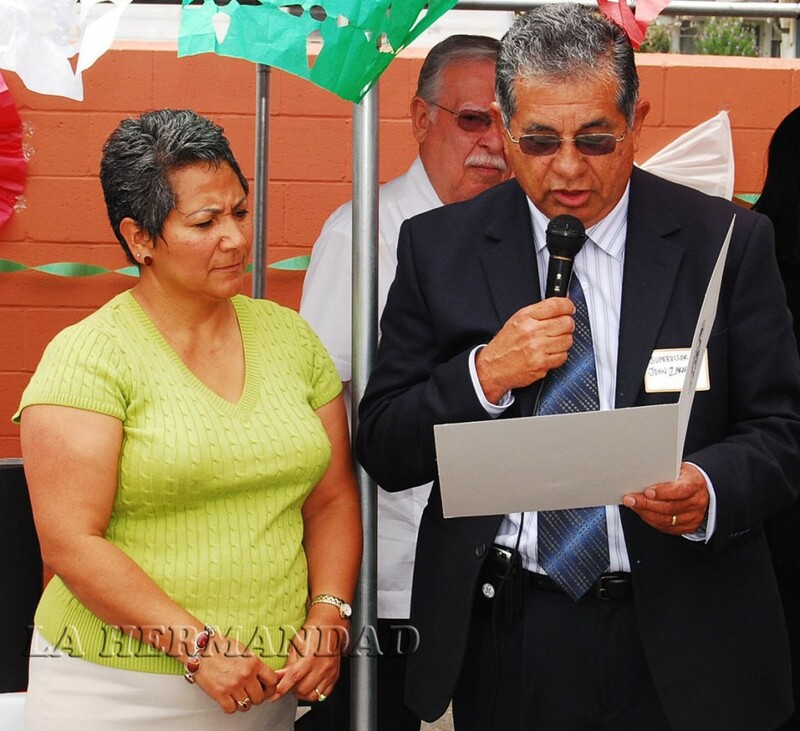 The La Hermandad Hank Lacayo Youth and Community Center grew out of a 2005 grassroots effort to support immigrant Latinos in the Oxnard area. It did so with some urgency in light of that year’s passage of the Intelligence Reform and Terrorism Prevention Act which included increased border patrols and authorized increased numbers of detention centers. The Act changed immigration policies and created new restrictions in the U.S. for undocumented individuals. Realizing that this intensification would create additional problems for migrant farm workers, who already faced significant barriers to integration into the U.S. civil society, La Hermandad offered free volunteer-based legal assistance, food and health clinics, literacy and language instruction. It gained official 501(c)(3) status in 2007. La Hermandad is celebrating its Tenth Anniversary this year. It has grown from a fully volunteer organization to employing six full-time paid staff, two part-time student workers and two individuals sponsored by Projecto Ayuda. It continues to rely upon the contributions of a volunteer teaching staff and fifteen or more volunteers who organize and implement our weekly food bank (providing for 250-300 families) as well as a Community Advisory Committee of 15 individuals. Its administrative strength has been bolstered by technical support from the McCune Foundation in the form of leadership and board trainings for the past two years. The organization completes immigration forms for community members, assists victims of domestic violence file for legal status, helps with citizenship applications, translates documents, offers adult classes in citizenship test preparation, Spanish literacy, ESL classes, instruction in basic computer skills, computer lab, provides food distribution and organizes monthly free clinics to test for diabetes, obesity and blood pressure. La Hermandad is open from 9 am to 6 pm five days a week. There is an attorney who provides pro bono immigration services. Free health services come to the community through its collaboration with Clinicas de Camino Real who provide monthly diabetes and blood pressure tests. Ventura County residents live in one of the most productive agricultural regions in the nation. Growers here produce more than 100 commercial crop varieties. Ventura County’s farms and ranches employ nearly 23,000 men and women; workers critical to Ventura County’s $2 billion-a-year agricultural industry. Today, almost three-quarters of these farm workers are not migrants, but are considered settled, meaning they work at a single location within 75 miles of their home. Over 95% are of Mexican and Central American origin. It is estimated that 80% are of temporary or undocumented legal status. In response to need expressed by the Oaxacan immigrants working in the fields around Santa Maria, La Hermandad opened a satellite office in May 2013. It is open five days a week, offering legal assistance and free community roundtables on such issues as general immigrations information, child abuse prevention resources, social security, DMV regulations and resources to support teens. The Santa Maria office serves 200 individuals per month with direct service and approximately 2,500 individuals per month with public information forums. It works with the Mexican Consulate, Santa Maria City Council, Victim-Witness Program supervisor, and Centro Binacional Para El Desarrollo Indigena Oaaqueno. Through its direct, hands-on grassroots work, La Hermandad has become a central hub for local immigrants seeking to stabilize their lives and build long-lasting community relationships.